Copyright �2013 PopEntertainment.com. All rights reserved. Posted: April 4, 2013. About the time that the Weather Underground was forming and gaining infamy for their sometimes violent protests, Robert Redford was well on his way to becoming one of the biggest stars in Hollywood. Butch Cassidy & the Sundance Kid, Downhill Racer and Jeremiah Johnson were all released during the group's heyday. 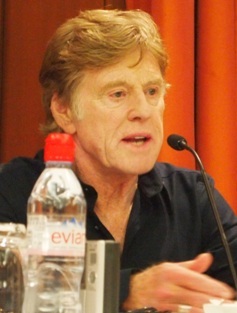 Redford was familiar with the generational revolt going on in the late 60s and early 70s. However, he was a part of a different world: a young family man whose career was starting to explode. Still he was always sympathetic to the youthful causes and that fascination has led 40 years later to his latest film, The Company You Keep. The film is directed by and starring Redford as Jim Grant, a long-time small-town lawyer who is exposed as a former member of the Weather Underground. He had settled down after being on the run for 40 years since a protest went wrong, leading to a bank guard�s death. When one of his cohorts (Susan Sarandon) is captured by the FBI and a reporter (Shia LaBeouf) starts sniffing around him, Grant must drop his young step-daughter (singer Jackie Evancho, making her acting debut) with his brother (Chris Cooper) and go back on the run. However, this time, Grant isn�t running away. He is running back to his past to track down old friends from the movement, particularly the one woman who can prove his innocence (Julie Christie). In the meantime, LaBeouf�s reporter and the FBI are on his tail, finding his old secrets and the grown daughter he had to leave behind (Brit Marling). The movie takes a fascinating look at the hippie era and its reverberations into today's world. The Company You Keep shows a nostalgia for the ideals of peace and love, but also takes a hard look at the wrongs committed by the Weather Underground, a rogue faction that sometimes used violence to make their points. A few days before the film�s New York and Los Angeles debut, we were invited when Redford, Tucci, Marling and Evancho held a press conference to discuss their film and their feelings about the sixties movements that inspired it. What drew you to the material? Had you read Neil Gordon�s novel or was it Lem Dobbs� screenplay that attracted you to this? Robert Redford: It was the book. I read that five or six years ago. I was drawn to the book because it�s a big, wide-ranging book. It had a lot of plot lines. It had a lot of email stuff going on. It had many, many characters. There was something at the core that captured my attention, and so the next four to five years was spent shaping that material into what could be a film. So yeah, I was drawn to the material. That�s what started it. For the whole other reasoning that I won�t get into, but that�s how it started. Then Lem Dobbs came as a result of hiring him to write the screenplay. That�s how that came about. Then it was many, many iterations. It was reshaped and reshaped and reshaped. Kind of sculpted. Brit, you�ve starred in idiosyncratic independent films like Another Earth and The Sound of My Voice, both of which you co-wrote. Is there much difference between the low-budget indie films and bigger, star-driven films? Brit Marling: I guess in some respects there are differences. I mean, the craft service table is a different craft service table. (chuckles) Honestly, for me it always comes down to the story. How attracted you are to the story and how compelled you are to be a part of telling it. When I read the script, I was really moved by the Weather Underground and how it�s not set back then. It�s set in present day. This group has come into age and wisdom and experience and are looking back and are wondering about the radicalism of their youth. If they made the right choices and would they do it differently now. My generation is grappling with a lot of the same ideas so I was very attracted to that part of the story. Robert Redford: We were overjoyed to launch her first film and her second one � Another Earth and The Sound of My Voice � at the Sundance festival. That�s how I came to know Brit. The whole idea was: her work was really, really special and I thought well someway, somehow, sometime I�m going to find a way to work with her. I was very motivated by what I had already seen, so it was a particular joy for me to be able to invite her into this film. Brit Marling: I should add to that the fact that I may be able to make a living as an actress and writer I owe entirely to this man. And to the institution he created as a safe haven for artists and filmmakers to make quirky, independent releases. Without that I don�t know, I might be investment banking. Who knows what I might be doing right now? Stanley, your character is part of the wonderful Hollywood tradition of hard-boiled newspaper editors. How did you approach the character? 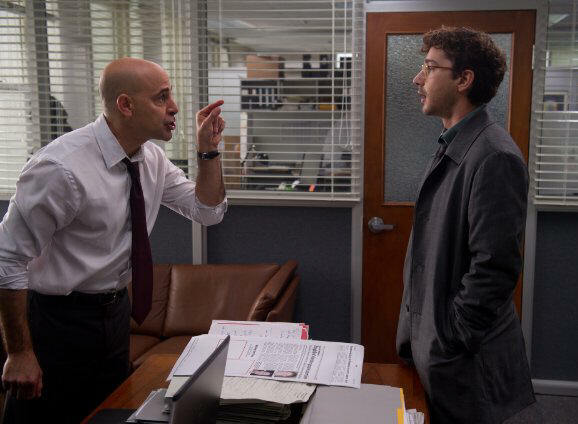 Stanley Tucci: I have to say it was all there on the page. It was very well written, very well realized in the script. I don�t know that I had to do that much. I had Shia [LaBeouf] and that energy to work off of and Bob�s very clear and succinct direction. So our rehearsal really was minimal for the most part. Shia and I worked one day and then we went in and did it. The scenes are very straightforward. He is the classic, curmudgeonly, exhausted editor. I think particularly in this day and age he�s an interesting character, because he�s the last of a dying breed. You don�t see those guys so much anymore. Robert Redford: I wanted to add a few words about um� Stanley. Stanley. (They both laugh) My dear friend what�s-his-name. Stanley and I have had some history together we go a ways back. Like Brit, obviously I�m very indebted to people who come in for no money at all. Who come in and help me with the non-profit Sundance Institute. Stanley was one of the first advisors we ever had. He gave his time in a crucial point in our development. That�s how Stanley and I got to know each other, and then his first film he directed [Big Night] was a joy to me. Over the years, Stanley and I have engaged at different points and different times. To be able to cast Stanley... one of the great honors that I�m able to share with you all is that this is a wonderful cast. I�m blessed with my colleagues coming onboard. Because look, let�s face it, there�s no money in film these days. It�s shrunk down to a nub. You have to depend on the kindness of not strangers but of colleagues to come in and help you. I was blessed by having a wonderful cast, but certainly Stanley and Brit and Jackie. Stanley coming in, he didn�t have to, there was nothing in it for him. Except the joy of working with me. (laughs) There was nothing for him. To show you what a pro he is, he came in and he didn�t need any rehearsal, because he is such a well-crafted actor. He so understood the part. What got me... I just want to add something... he talks about the energy, Shia�s energy which is extreme. Shia has a fast mind and a fast tongue. For Stanley to work with that and still be the character that he had to play, he had to be a man in control within an industry that was going out of control. It had its own thing, its own dynamic. The fact that he could manage the energy by creating a counter energy as Shia got more crazed, if you watch the film, Stanley went the other way so it creates a dynamic. When Shia slows down Stanley goes for his throat. I just enjoyed watching it. I didn�t have anything to do with it. Maybe it helps when somebody has been both an actor and director, like both of you have. Stanley Tucci: That�s the thing. Bob was an inspiration in that regard for me. Of course as an actor but as an actor/director. I figured if he could do it anybody could do it. (laughs) To watch him as an actor is always a joy. But then to see the movies that he directs, the way he so effortlessly goes back and forth from one side of the camera to the other is an inspiration. The creation of Sundance gave us all a huge, huge opportunity and still continues to give us an opportunity. It�s a great thing. So for that reason alone, just to be in the movie was an honor. You want to give back in whatever way you can. If it�s just by "Okay, I�ll be in your movie if that makes you happy." Why that would make him happy I don�t know. Jackie, you�re the newcomer to this group of experienced actors. You�re best known as a singer. What led you to acting? Robert Redford: I don�t mean to [interrupt]. But, it�s a wonderful story. It�s one of those stories where you take a risk and it pays off. And then I�ll let Jackie speak for her view. I was in Vancouver getting ready to film. I couldn�t find the young actress, the 11 year old to play my new daughter. Kids in films to me has always been a big deal, because I�ve always wanted to see a child who can just be and not act. So I was frustrated in the interview process because I was interviewing girls who were lovely. They were fine. Their mothers would bring them in. Their mothers were dressed like they wanted a part in the movie. So there was that. Then kids were too busy acting. I was getting [frustrated]. I said, there�s nobody here. They�re talented, they�re skilled, but they�re acting. I just wanted to somebody to just be. I was very frustrated. We were going to start filming Thursday. It�s Saturday night. I�m sitting in the hotel room depressed, surfing, mindlessly surfing and suddenly boom! There�s this vision on the screen, this angelic creature that was 11 years old. I said whoa, wait a minute what�s this? I don�t watch much television. I looked at it and said wait a minute, what�s this? She�s singing Puccini. I�m thinking: wait a minute, how does that work? The camera pulls back and there�s this symphony hall and there�s this huge orchestra. This symphony hall, this little lady is there just belting this music out that was so powerful. Right away something just clicked into gear, because I was desperate, and I said wait a second, somebody who has that composure who can do that in front of that kind of audience in that kind of register with that kind of complexity, maybe that could work. To make a long story short I contacted the casting person. I said, find out who this person [is], where she is. They found out she was in Pittsburgh with her parents. Lived a normal life in Pittsburgh, except she had to do these shows. They went out and taped her. I don�t think they knew what was going on. Jackie can speak to that. They sent the tape back. It was clear she didn�t know what was going on. I said "I don�t care there�s something going on, I�m going to take this chance." She was hired on Tuesday. She came, we filmed Wednesday. We filmed the first day I met her. Let me tell you from that point on, I figured from that point on I figured I�m one lucky man because she turned out to be absolutely lovely. She just swung in. We just played together. We just became people who could play and have fun and improvise together. I ended up the beneficiary of a risk taken and Jackie was worth it. Jackie Evancho: To be honest I really don�t know what to say. (laughs) All I can say is that I was extremely honored to have a chance to actually act with you guys. I was really excited that I got the role. I just really had a lot of fun so thank you. Stanley Tucci: Were you nervous the first day? Jackie Evancho: I was extremely nervous. I didn�t know what to think. Robert Redford: She was nervous, but she was so busy having fun, it disguised her nervousness. You were only 11 when you got the part. Did you even know who Robert Redford was? Jackie Evancho: Well, my dad, he always talked about it with his brothers. He�d just joke around and stuff. So when I heard the name I wasn�t very familiar with it. I shouldn�t say it, it�s an amazing name, I�m sorry. (laughs) The only thing that I knew was that my dad, he�s like, "He played a cowboy." That�s all I knew. But I actually thought it was an amazing honor, so thank you, sorry. What do you want people in the 21st century to take from this movie about the legacy of The Weather Underground? Robert Redford: Well, there are probably a number of things that I would like to take away. To simplify it, I would say that probably the first thing would be it to make you think. Some films are made not to necessarily think, but it's like eating cotton candy. You have a wonderful ride then its over and that�s all that you really want. Other films are designed in a way to at least make you ask a question afterwards or think about what�s happened or maybe dialogue with someone. I think that�s what I would prefer. It�s not always possible. That would be the first thing. The second thing has to do with a criticism I have for my own country. I don�t think we�re very good at looking at history as a lesson to be learned so that we don�t repeat a negative historical experience. We�re not good at that. Looking back in time to say this happened then, what did we learn from that? I just think it�s an American tradition to be so busy pushing forward, driving forward, doing, doing, doing. They don�t look back and say "Gee, what can I learn from mistakes I made before?" So I guess the hope, that�s all it can be is a hope, is you look back at this moment in time. By the way when this happened, I was of that age. I was of them in spirit. But because I was starting a career in the New York theater as an actor � and I was also starting to have a family. I was obligated to that task. So I wasn�t a part of it. But I was certainly empathetic to what they were doing, because I also thought it was a wrong war. I thought it was a war that was going to cost unnecessary lives. It was also a war designed by people who had never gone to war. It had a lot to do with a tragic history of the United States and the mistakes its made they never seem to learn by. So that was my own personal criticism about my country. I would hope that you look back and it�s not about what happened then. It�s about 30 years later. There�s a wonderful poem by Yeats, one of my favorite poems. In that poem, there�s a line that says, "Because he was so sick of what was happening to Ireland, he could see that calm Ireland was about to be disrupted by Evangelism, by revolt, by revolution and that Ireland would never be the same." So he was bemoaning that by taking a conservative stance. He says �The best do lack conviction, and the worst are full of passion and intensity.� I thought that was a nice thing for me to play with. As people who were filled with that passion and intensity grow older and look back, they are trapped by their past, because in order to stay free from the law, they go underground, with a false name. But how long can you live without your true identity? That�s what interested me, to tell that story, not then but now. The movie is one of your first forays into the new world of journalism. These days there is no "fair and balanced," it�s mostly very far right or very far left. Were you trying to explore that dynamic? 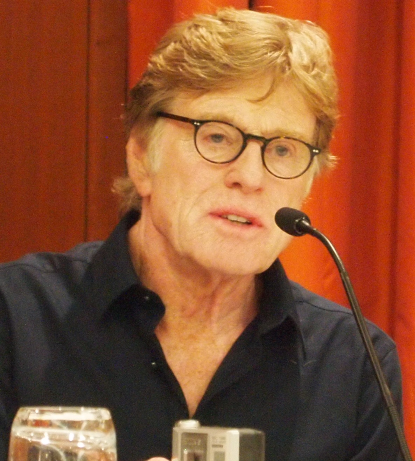 Robert Redford: It�s tricky business when an artist starts to mess around with journalism. I�ve done that before. Basically, I was protected by a story that was written by somebody else and I was just documenting that. But it�s tricky because I don�t know that the media is comfortable being criticized by people who are not in their own world. I don�t know. I might be wrong. It�s just a hunch. In other words you have to be careful. On the other hand because I have such a keen interest in the media. I think it plays such an important role in our society, I�m very concerned if it�s ever threatened in any way. If it is threatened I would like to know how and what and maybe that�s a story. The internet has so drastically altered the landscape of journalism. Now you�ve got so much information, I think there sometimes is too much information. How do you find the truth? Where does a public citizen find the truth when so much is coming at him? As you said, you have the far right and far left hammering stuff. Much of it is lying, bubble [stuff]. So the public maybe gets fed up and turns away and then I think there�s real danger. I�m really curious about the state of journalism, where it is right now. What�s going on. In terms of this film, I really saw the Shia character, I guess to me there was a little bit of a hint of a story that I�ve always loved. There were two stories that I always loved as a kid, The Phantom of the Opera � I�ve always wanted to play that part � and then Les Mis�rables. I just thought from the time I was a little kid that was one of the great stories. I saw similarities in that Shia LaBeouf�s character is Inspector Javert from Les Mis�rables and I am Jean Valjean � in a sense that I go to prison for something I�ve done that�s wrong. I escape. I take on a new identity to escape prison time. I live a clean life. I have a daughter. The daughter means everything to me. Jackie. I had to give up another daughter before she meant too much to me to give up. Brit. That was painful. I don�t want to make that same mistake again. So here it is, this means everything to me. Yet there�s someone on my tail who might expose me in a way that makes it impossible for to have the true love of my daughter and live a clean, clear life. That was the complexity that sparked me to make this film. Did you meet any of the members of the Weather Underground or similar groups when preparing the film? Robert Redford: No. I didn�t feel I needed to because I saw a documentary several years over that came to the festival called The Weather Underground. I was already aware of it early. I felt that that documentary was very well made about the actual people: Mark Rudd, Bernardine Dohrn. I didn�t feel I needed to meet them. Also this was a piece of fiction that had to have a piece of truth to it but it was really about their lives later. So, no, I didn�t feel I really needed to, because I thought I had a firm description of them presented. But I did meet the son of Bernadine Dohrn and Bill Ayers who lives here in New York and Chicago. He�s a teacher and I met him. That was it. I figured I didn�t want to go to far into it because this is a piece of fiction, in a sense. It�s dramatic fiction. I want to be able to take it on but used as the basis of who these people really were. The characters. No, I did not want to meet them. Would you want to meet them now? Robert Redford: No. I think we�re all moving on. We work. We do something. If you stay with something too long it�s probably not a good thing. I�m happy to talk about this film because I�m proud of it. I�m proud of the actors who are in it. I was able to make the film I wanted, the way I wanted to make it, so I�m proud of that. But if you stay too long, it�s not a good thing. You took a wink in this film to some of your earlier photos. Robert Redford: (laughs) You think that�s a wink? How did you decide to use them to give the film a feel of history? Robert Redford: It�s not terribly interesting. I just had to go through archival stuff and find old photos of myself and be depressed. Like I�ve got to live up to this. There was I know a photo from Jeremiah Johnson. I had to put outfit from The Candidate on the face, that was kind of interesting. But it was just something that was right for the film to show time passes, people age. Did you have to find an old prison shot for your mug shot? Robert Redford: No, there were times I could have but I didn�t. It sort of reminds me of a great line from the film, when Nick Nolte says "We all died. Some of us came back." Robert Redford: It�s a great line. As part of the Vietnam era, Mr. Redford and Mr. Tucci, did you draw from that era for the roles? Robert Redford: I think I�ve already said enough. I�d love Stanley to take that one and I�ll see what his opinion is. Stanley Tucci: Well, I was four years old, so I didn�t, I couldn�t. I know I look a lot older, thanks very much. I think we�re done here. (laughs) No, I didn�t have anything personal to draw on. Only having talked to people who were in the war. I have a cousin who fought in the war, who was there for two terms. And people I�ve met and things I�ve read. Also as I said before when you approach certain films if it�s there on the page, which it was here, sometimes that�s really all you need. I think after you�ve been doing it for a long period of time, sometimes you do need a lot of preparation and research but certainly for this role it was all really there. Brit and Jackie, what would be the first question you would ask Robert�s character of Jim Grant, coming from different generations? Robert Redford: I was thinking about that time 30 years ago and the commitment that young people had. It was a young people�s movement. I�m imagining you... I think I know you well enough to know you would have been somehow connected. But that generation came so close to accomplishing, so close to get to the final point of destination, and then collapsed before they got there. It�s a movement that kind of ate itself. You went, oh! I just wish they had gone one step further. They were so close as a generation as we know now. Now it�s 30 years later, your generation is Occupy Wall Street and other organizations. I�m curious what your personal views are about that movement, and the fact that it was similar [trajectory], it came close. Brit Marling: It didn�t quite make it� It�s funny, Zal [Batmanglij] and I, who is a filmmaker I work with, we were writing something at the time that was about the sort of Occupy movement before Occupy happened. We were about a week away from shooting this film when Occupy Wall Street happened, and we were like, "Oh, great. Someone has finally tapped into the collective unrest and given it a voice and is organizing." But I think what maybe happens is all these ideas come up, and then what�s the action? A lot of young people, I watched them leave their jobs and go knock on doors for Obama. They were so excited about the possibility of change. But then once he was elected, it�s not like they walked away from their jobs and took to the streets and gave him a mandate for change. I don�t know why the Occupy movement crested then didn�t quite take over but one gets the sense that so many people are so comfortable, that the impact isn�t on them on a daily basis. And so they�re unwilling to walk away from the lovely coma of their daily lives to really, really stand behind change. But I still think it�s very, very possible. Maybe my generation is sort of straddling one foot in being an anarchist another foot in playing by the rules. Leading within the system and trying to change the system from within. I don�t know what happens the more progress that makes. Do you eventually have to pick a side? Do you fall in between the chasm in the middle? I�m not sure. I wrestle with that everyday. Robert Redford: It�s interesting what you said. You said it�s a possibility. That�s what your screen mother says in the film. Julie Christie says in her argument, the argument isn�t saying it is over, you�re wasting my time. She�s saying no, it�s never over. As long as the cause is there, then the reason to revolt is there. It�s a good point. Even though time goes on. We were having that debate which I think was structured in such a way that the audience would have that discussion. But for you, you wanted something to happen that was the voice of your generation. One of the things that�s beautiful about Brit and was such a joy to work with is whatever she does, whatever role she plays there�s always the truth. She�s a person of supreme truth. Whatever she�s doing, truth just comes through. That�s such a valuable asset. I felt that when we met, when we first talked. I felt that in her work we saw at the festival. To be able to let that happen in a film, to give it over to her, anything I did or said was just like: take it and go with it. I know whatever you do the truth is going to come out. That�s going to be a powerful force against what Shia was playing with. So I would think that maybe Brit, I felt the same way when I was young. I was disappointed that something wasn�t reached, because it was my generation, my voice. I wanted it to succeed. We felt it was about the truth. We felt we were not being told the truth as a country, so we wanted to be the voice of truth. The fact that we couldn�t make it was kind of disappointing. I see Brit as an ambassador for her generation. What would you ask Jackie? Julie Christie is amazing in her role. Are you going to try to get her an Oscar nomination? Robert Redford: I would never try to get somebody an Oscar nomination. That�s not my business. Awards are not my business. But Julie became my business. I saw her because I knew her when she was younger. We were from the same age. We both had film exposure around the same time. I realized that she was radical then and assumed she might stay that way. That would be something to draw on. But I had no idea beyond that. I saw a film she made... she seemed to disappear from the face of the Earth and then she showed up in a film about Alzheimer�s [Away From Her]. I thought unless that was a real life thing for her maybe I should call her. It took a while to get her. She�s remote. She�s in a remote area of Spain and sometimes London. It took two months of conversations, first of all trying to find her, Secondly listening to her telling me why she shouldn�t do it. She didn't want to, didn�t think she could do it. Perseverance ruled the day. She finally came and did it and well, I think the effort should speak for itself. Terrence Howard was terrific playing against type as the FBI agent. How did you pick him for the role? Robert Redford: Well, Terrence, I think he is a wonderful actor. He was in a film we had at our festival called Hustle and Flow. That�s when I first met him, and I thought he was really good. So I wanted him in the role. I wanted him as an actor in that role. No other reason. I�m glad he did it. He did a good job. You compared your character to Jean Valjean. Jean Valjean paid a price when Javert started hunting him, his freedom. What did your character Jim Grant have to pay? 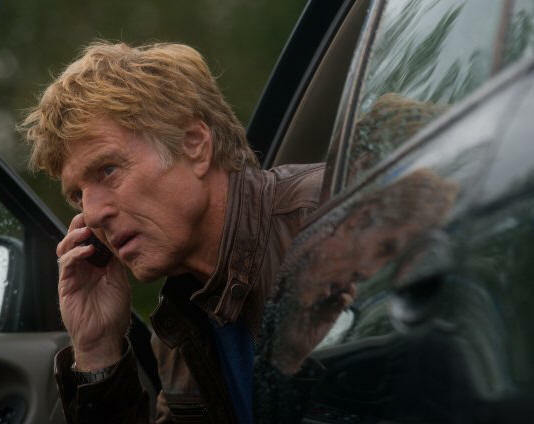 Robert Redford: The price I pay is the idea that I�m going to have to give up the life I�m leading under my false name to have my real name, so my relationship with my daughter can be clean and pure. And what that cost is going to be. What is the cost to have to reveal that at that point in time? Particularly, if you've seen the film, you know that I was innocent of the crime, but I�m not seen as innocent. I�m seen as guilty. The only way I can clear my name is by getting to Julie Christie. The run is almost impossible. The odds are totally against him. The reason he�s able to buck those odds is the because of love of his daughter. He wasn't able to love his first daughter, Brit. Although had I known Brit was going to play it, we probably would have had a whole different story. He is all about redemption and digging yourself out and you sometimes have to face a hard truth in order to do it. So I think that what he had to do was in order to be able to face his daughter and live a clean, honest life, there was going to be some damage he would have to repair but the damage was worth not having to lie. This film has some aspects of some of your classic films: family drama like Ordinary People, thriller aspects like your work with Sydney Pollack (like Three Days of the Condor) and journalism like All the President�s Men. Did it help to sell you on this project that all of those were present? Robert Redford: It helped in the sense that it enabled me to put them all together in one film. I made those films for specific reasons relating to those specific areas in our culture. To be able to see a chance to combine them all into one film and have the relationship with the reporter and Stanley�s character, the editor drive the story. Because they are the driving force of the story. "Get the story. Get the story. Don�t make mistakes. Be cool." That has it�s own energy and that�s driving the engine. That�s the journalism part. Then you have the thriller part, the man on the run to save his life and his daughter. Then you had the family, because that�s what it was about. It was about a man�s chance to finally, after he had failed before, to have a real life and family, except he was haunted by his past. To answer your question, it was a chance to put all three together in one. Did making this movie give you any positive thoughts about the state of journalism? Robert Redford: Positive? I don�t know about positive as much as valuable. Because I consider journalism so valuable that � I don't want to show too much ego here, but I would almost take it personally if journalism failed itself. That�s the one avenue we have to the truth. So if I�m going to portray journalism in a film it�s a tricky business. You want to at least give it it�s due. Maybe describe the threats that are against it. In this case the idea of Shia�s character was to me more interesting, it was complicated by the fact of is he going after the story for his own personal aggrandizement or is he going after it purely to save his story? There is a dance between that as he moves forward. What should be unmistakable is what he learns about himself in the end. In his pursuit of finding somebody else, what does he learn about himself that may change him? That was exciting to me, but you have to be careful. You really have to be careful about when dealing journalism about trying to be pedantic or academic about it. You have to touch certain things then back away and let the audience go with it and figure it out. CLICK HERE TO SEE WHAT ROBERT REDFORD HAD TO SAY TO US IN 2005! 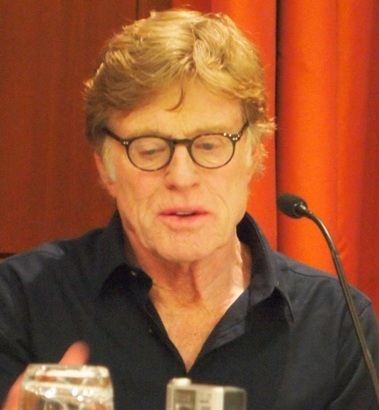 CLICK HERE TO SEE WHAT ROBERT REDFORD HAD TO SAY TO US LATER IN 2013! CLICK HERE TO SEE WHAT STANLEY TUCCI HAD TO SAY TO US IN 2010! #3 � 2013 Jay S. Jacobs. All rights reserved. #4 � 2013 Jay S. Jacobs. All rights reserved. #5 � 2013 Brad Balfour. All rights reserved. #6 � 2013 Brad Balfour. All rights reserved. #7 � 2013. Courtesy of Sony Picture Classics. All rights reserved. #8 � 2013 Jay S. Jacobs. All rights reserved. #9 � 2013. Courtesy of Sony Picture Classics. All rights reserved. #10 � 2013. Courtesy of Sony Picture Classics. All rights reserved.